Home Organizer® protects your loved ones with the m.i.l.k.®, Silver® and EARS® Digital IDs, and it protects your valuables with our easy-to-use home inventory forms. In January of 2000, Imagery Concepts, LLC was commissioned by Canon Computer Systems to develop the first Digital ID for the National Center for Missing and Exploited Children (NCMEC). Over 2,000 children are reported missing every day. 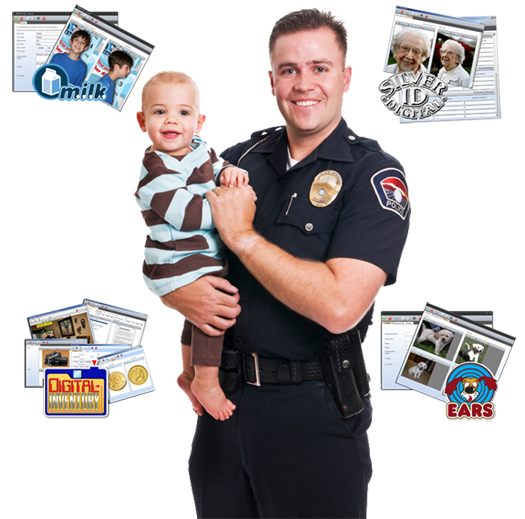 In a missing child situation, 40% of the parents cannot immediately supply a current photo. 34% do not know their child’s correct height, weight or eye color. 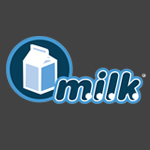 To aid in the recovery of a missing child, the m.i.l.k.® (Managing Information on Lost Kids®) Digital ID was designed to provide parents and caregivers a convenient location to store a digital photo and identification information of their child(ren). 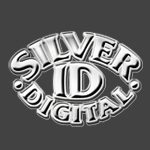 The Silver® Digital ID was designed to aid in the recovery of missing adults. 6 out of 10 Alzheimer's Patients will wander from their caregiving facility. Law enforcement is quick to point out that a current photo is the most valuable tool in the recovery of a missing person. For more info, go to www.silverdigitalid.com. Home Organizer can also help protect your four-legged family members! Every week, over 2,500 dogs and 3,200 cats go missing! Using the same technology as the m.i.l.k.® and Silver® Digital IDs, the EARS® (Electronic Animal Recovery System®) Digital ID helps protect your pets. 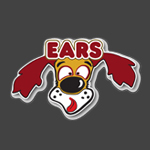 For more info, go to www.earsdigitalid.com. The software can also be used to protect your valuables by creating a digital inventory of your household possessions. Back-up your files to an offsite location and Home Organizer is a key element in assisting with insurance claims. Safety-related and educational information provided by the National Center for Missing and Exploited Children (NCMEC) and the Humane Society of the United States (HSUS) are included in the Home Organizer virtual filing cabinet. NCMEC provides valuable information on keeping your kids safe – whether at home, in the neighborhood, at an amusement park or even on the Internet. The PDFs provided by NCMEC are perfect for starting a conversation with your children on the subject of safety. The pet-related PDFs included with Home Organizer cover topics such as introducing a new pet to the family, housebreaking a pet, and positive reinforcement for your pets. The EARS Pet Digital ID has been endorsed by the Best Friends Animal Society. Home Organizer also includes valuable Auto Tips to not only help keep you and your family safe, but also to help answer many automotive related maintenance questions. 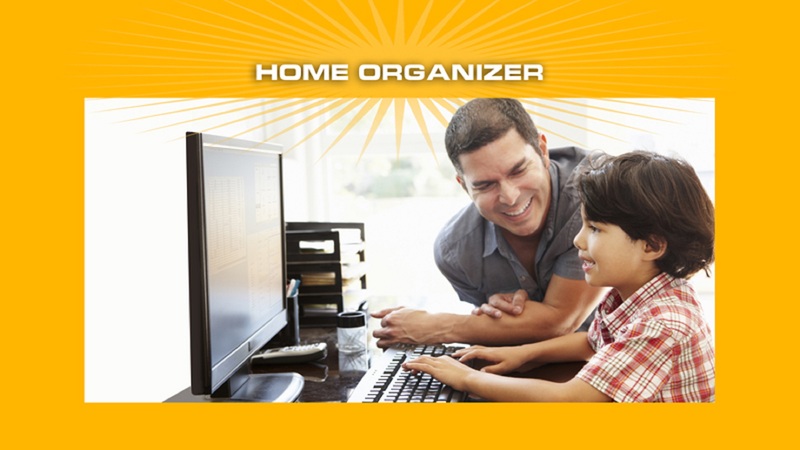 Home Organizer keeps all your household documents and photos in one convenient location. 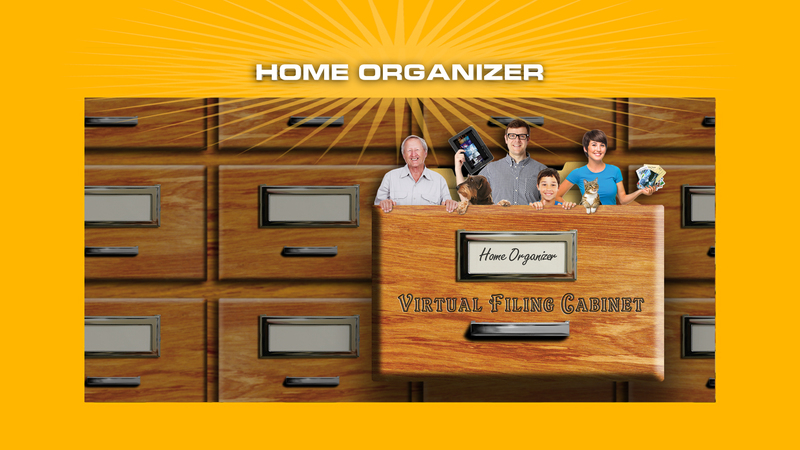 It is a virtual filing cabinet with file drawers designed to help store recipes, monthly bills, tax records, photographs, auto records, wills, warranties, investments, property records, computer files, homework and other subjects of interest. Quickly file important records and instantly retrieve them with a simple click of your mouse. 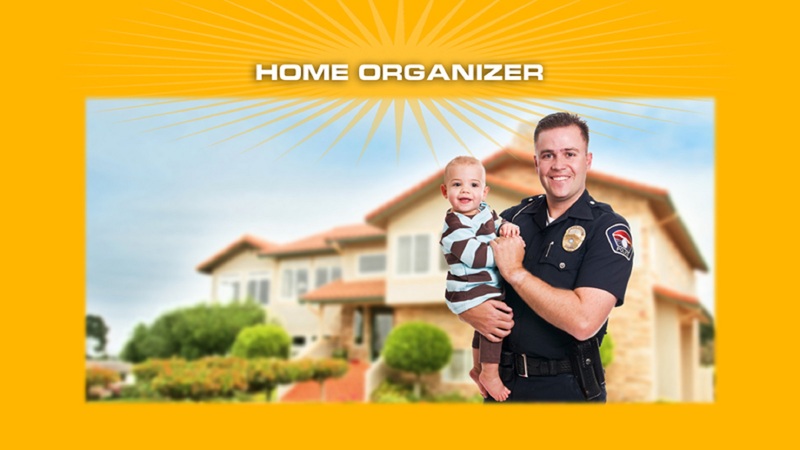 Home Organizer is a key element in assisting with insurance claims. It can be used to build a digital inventory of possessions. Files and images are stored on the hard drive of your computer, so you always have immediate access to your data. No additional computer hardware is required. Information can be typed directly on electronic forms included with the software. Its versatility lets you import computer files or upload images from a digital camera, disk or scanner. A handy scheduler is also included to use for all your appointments and to create on-screen reminders for doctor’s appointments, ball games, hair appointments, meetings, etc. 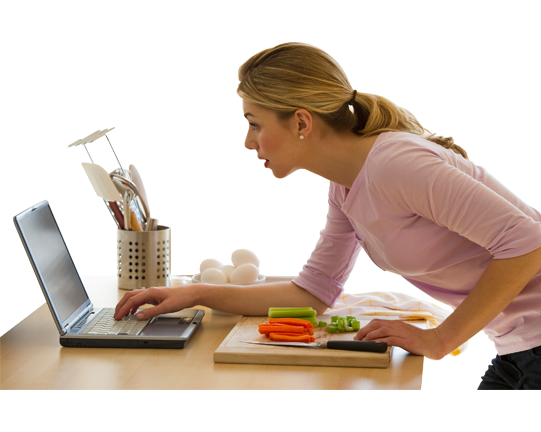 Once you start using our scheduler, you will wonder how you lived without it! 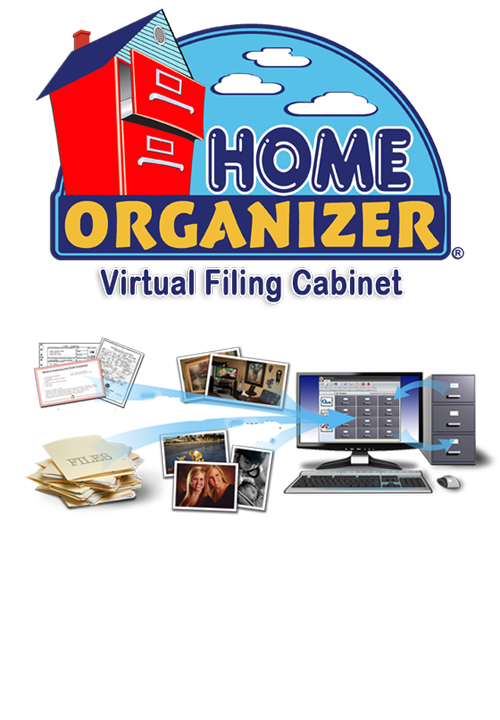 Watch our Tour Video to see how Home Organizer can help organize your family's important documents, photographs, and posessions. You will appreciate how the m.i.l.k, EARS, and Silver Digital IDs can help protect your family. 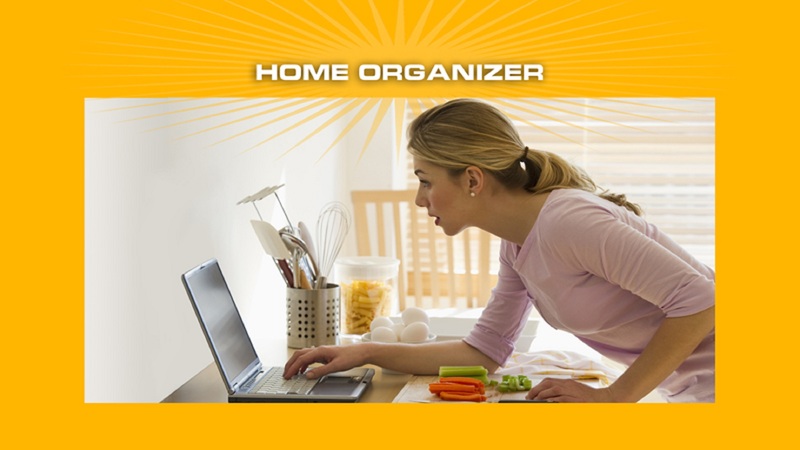 Purchase Home Organizer for $49.95 plus $5.00 shipping and handling for a CD-ROM. Minimum requirements: Windows 10, XP SP2, VISTA, Windows 7, IE 6 or above. © 2019 - Home Organizer. All Rights Reserved.